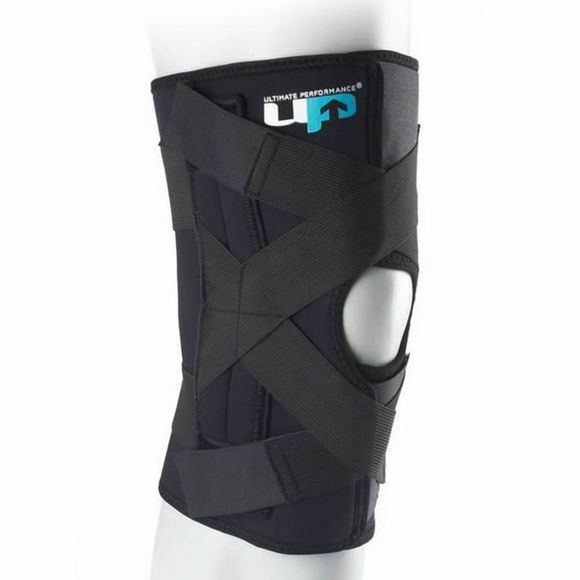 The design of this brace ensures compression and support in all directions whilst the soft neoprene blend provides firm even support and promotes improved healing. Recommended for: weak, arthritic or unstable knees during competition or all day use. Wear Instructions: Fasten lower section below knee. Centre patella opening over kneecap and fasten upper section. Secure cross-over straps and adjust tension as required.